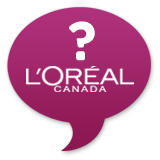 The mystery product has been formulated to reconstruct hair's strength by 90% from root to tip, it repairs and prevents damage. It contains damage fighting Phyto-Keratin Complex and Cupuacu Butter. And here is what I can tell you, it smells absolutely amazing! And my hair feels amazing after using the products, it is silky, smooth, and super soft with a gorgeous shine! So what is the mystery product line? I'm guessing an intensive repair and reconstruct product line... What do you think of the #MysteryBrand?